Net neutrality in the United States is officially over, as of today. In December, the Federal Communications Commission voted to change Obama-era rules that governed how major telecommunications companies treat data over the internet. That ruling comes into effect as of this morning. Under the old rules, companies were largely forbidden from blocking, slowing down or otherwise preferring certain types of internet data over others, such as offering certain companies so-called fast lanes if they are willing to have their data prioritized. But in a 3-2 vote, the new Trump-appointed commissioners voted to do away with rules in place since the early days of the consumer internet, during the Clinton administration. Major internet providers such as AT&T Inc., Comcast Corp. and Verizon Communications Inc. wanted changes to the old rules. Huge new media companies such as Facebook, Google-owner Alphabet and others, meanwhile, backed the old system with some minor tweaks. The Canadian government doesn't support the new U.S. rules, and has no plans to update regulations along similar lines. "We fundamentally believe that all information should be treated equally," Minister of Innovation, Science and Economic Development Navdeep Bains told the CBC when the new U.S. rules came in, "and people should have access to an open internet." While the new rules are now in effect, immediate or dramatic changes to the way consumers experience the internet aren't expected. It's also unclear whether the new rules will stick around long enough to have an impact. 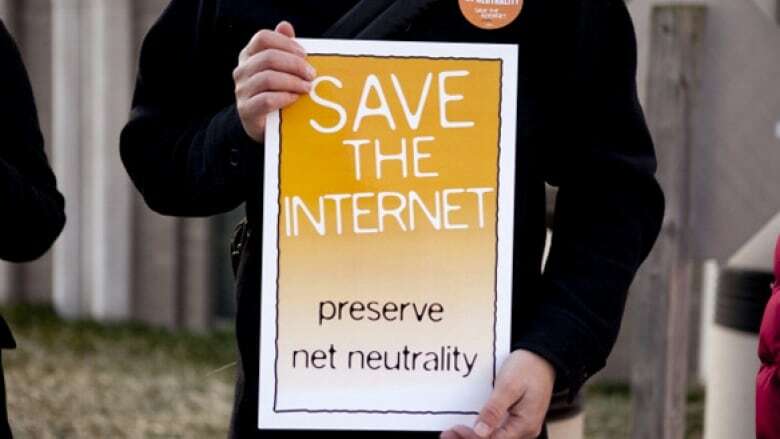 Net neutrality proponents have launched multiple lawsuits aimed at getting the old rules reinstated, and almost two dozen U.S. states have already pledged to do their own rules governing the internet within their borders.